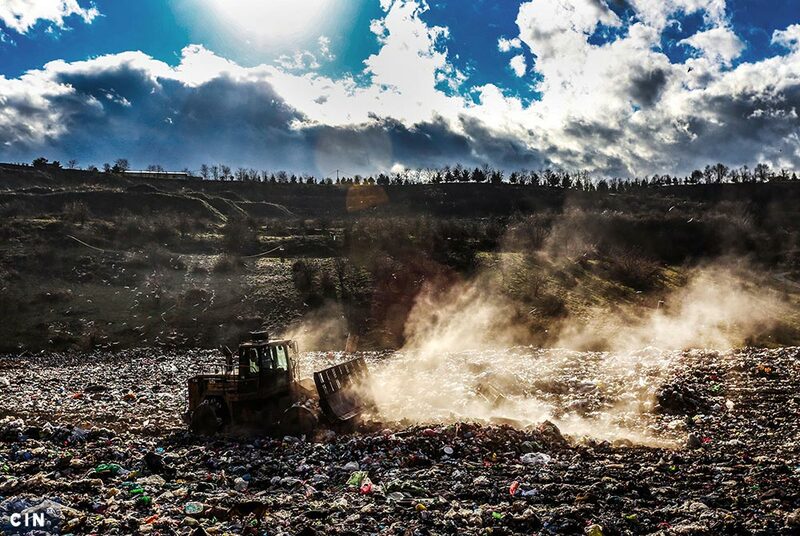 The Federation of Bosnia and Herzegovina Ministry of Environment and Tourism has suspended issuing of the environmental license for Smiljevići landfill after it had expired seven months ago. The Federation of Bosnia and Herzegovina (FBiH) Ministry of Environment will not renew an environmental license for the Smiljevići landfill in Sarajevo until Sava River Basin Agency has reviewed the conditions for approving a water treatment license. The landfill’s water treatment system has been out of work and the waters from the landfill are flowing untreated into Lepenica Creek before meeting the River Bosna. On this account Novi Grad Borough asked for a review of water and ecological permit for the landfill that’s located on its territory. The Borough’s officials explained that lab analysis conducted over several years found toxic materials in the water from the landfill polluting the environment and having negative impact on the health of residents from the nearby neighborhoods. Also, the FBiH inspector for environmental protection found that degassing system at the landfill is out of order and it’s not keeping in check gases that are by-products of burned and decomposed waste. In mid-2018, the Center for Investigative Reporting (CIN) in Sarajevo put this issue under the spotlight and learned that equipment worth millions of KM broke down because of negligence and lack of cooperation among city departments. In 2005, a 1.9 million KM water treatment facility was purchased but it went into commercial operation in 2011. Three months later it broke down. The Institute for the Construction of Canton Sarajevo oversaw its installation. Its officials told CIN that the problem was in various types of waste unloaded at the landfill. Officials from the Cantonal Public Utility Company RAD that operates the landfill say that they were not involved in procurement of the system and didn’t sign a piece of paper giving the company control over the equipment. RAD stated it was not responsible. In 2001, a system was installed that was supposed to collect gas to produce electricity for citizens of Sarajevo. It was destroyed in 2013 in digging ordered by the State Prosecutor’s Office in a search for corpses of war victims. This was done without consulting the Institute which in response has demanded reparations, but they have not yet been paid. The level of damage to the gas installations is estimated to over 1 million KM. CIN reporters talked to residents who said that in gardens around this area nearly nothing will grow and that it was difficult to put up with the landfill’s reek. Residents have criticized the work of relevant government institutions because they suspect that the landfill’s pollution is to blame for a marked increase in sickness among local residents. At least five children have contracted diseases such as cancer and allergies, while two girls have passed away.